It works amazingly well because it's loaded with antioxidants, water- binding agents, and anti- irritants. A groundbreaking series of independent, published studies have proven without a doubt that these anti-aging ingredients are extremely beneficial to reduce the tell-tale signs of aging on our skin. LifeCell’s revolutionary light-reflecting micro-technology takes away the shadows which make fine lines and wrinkles so visible. By getting rid of the contrast which makes these lines visible, these wrinkles appear to vanish. Not six weeks from now- but right now. LifeCell was formulated to reduce the look of fine lines, wrinkles and sagging skin by using only safe and natural ingredients. You won't believe the difference you'll see! but the human eye cannot see a wrinkle! What your eye actually sees is the shadow made by the wrinkle. So once natural light is bounced into a wrinkle, its shadow appears almost invisible. LifeCell uses light-reflecting microtechnology to help mask the appearance of your wrinkles and fine lines. Your new smooth, youthful-looking, baby-soft-skin doesn't wash off once you wash your face. A ground-breaking series of studies have demonstrated the amazing long- term effectiveness of the active ingredients in LifeCell. Most of the research on these independent ingredients has been conducted by Harvard University, Yale University, Cornell University and Oxford University's medical departments. The genius of this formula is it works "synergistically." Which means just as talent can win games, but teamwork and intelligence wins championships. Similarly LifeCell involves the simultaneous action of separate super-powerful anti-wrinkle and anti-aging ingredients which together end up having... a greater total powerful effect. LifeCell's formula contains 6 of the most potently effective, (and hypoallergenic), scientifically proven skin firming ingredients to dramatically revive your youthful appearance by tightening the look of sagging, wrinkled skin and giving you a glowing radiant complexion for life. “I'm 40, but I look and feel like I'm 28, again. Thanks to LifeCell, no one can tell me I can't look as young as I feel. LifeCell age-proofs my skin without surgery, Cosmetic injections, or a Park Ave. dermatologist. Now I look my age, the one I feel. 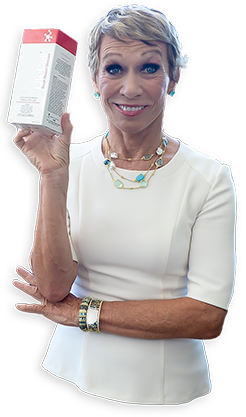 After I started applying LifeCell, men and women that cross my path repeatedly turn their heads to check me out - and it makes me look and feel like a million dollars!" "LifeCell Has Changed My Skin. I recommend it to everyone!" 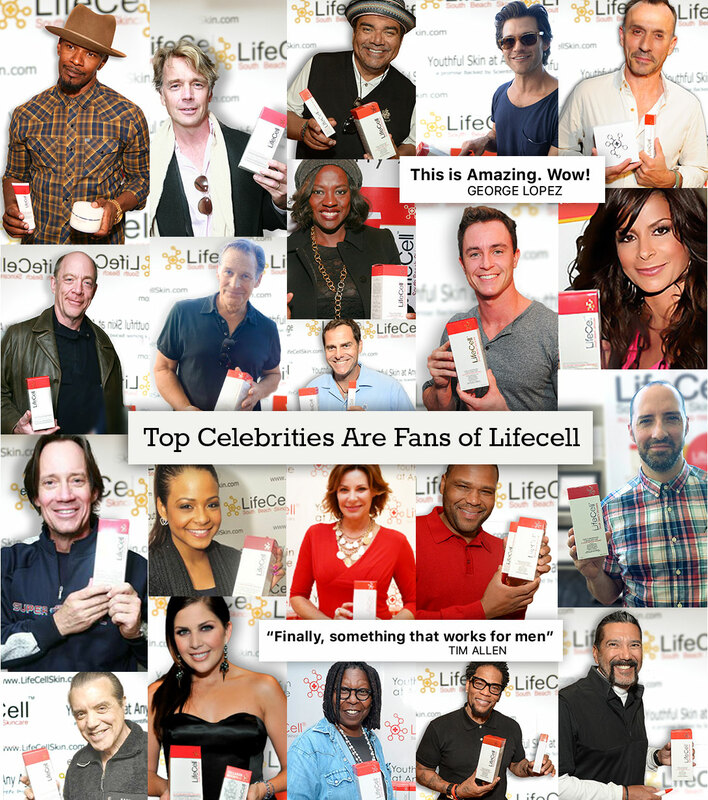 Shanon started using LifeCell over a year ago. Prior to this he never really paid too much attention to his skin. He knew he had some noticeable sunspots from years of spending time golfing in the South Florida sun, but it wasn't anything he was losing sleep over. It wasn't until his kids started jokingly making fun of his wrinkles that he started to worry. Of course he knew they were just being kids, playing around, but he couldn't help but take a better look at himself in the mirror. A golf buddy recommended LifeCell to him and he hasn't looked back. 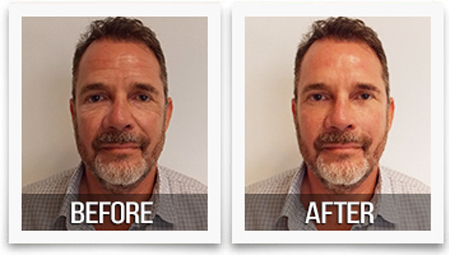 Within just a couple weeks of using LifeCell his sunspots began to fade and now they're nearly non-existent. The deep crow's feet that started his endeavor into skincare are now nothing but little lines you can only see when he's laughing. Shanon recommends LifeCell to all his friends. He won't go a day without it! 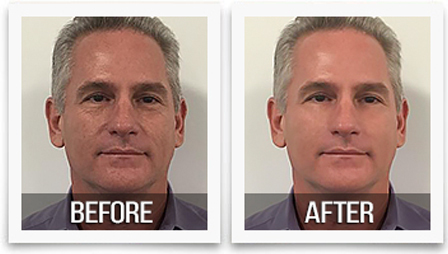 We're so confident in LifeCell and its anti-aging results, we only use "before & after" images from real customers, just like you. When you're done with your full-supply of LifeCell, send us your pictures and a short testimonial. If we use your case in one of our advertising campaigns, we'll give you $1000 cash on the spot. Here is what it's all about: The Uttwiler Spätlauber apple tree in Switzerland may not mean anything to you, and until several years ago, it didn't mean much to anyone else, either. The fruit it bore was tart - too tart to eat. And, as in a fairy tale whose heroine is lonely and much neglected - ugly on the outside, though beautiful underneath - no one came to pick these apples. As years went by, the trees started to dwindle until there were only three left. But even as the trees were dying out, the apples were hanging on. Once picked, an apple lasted months longer than its shriveled cousins. This is indeed the reason the variety was first cultivated in the mid-eighteenth century: its excellent storage ability. If the tree's bark or unpicked fruit's skin was punctured, it would heal itself like human skin. By cultivating the rare and unique Uttwiler Spätlauber apple, scientists have discovered an innovative way to harness this unique plant’s stem cells to help prevent the look of aging skin by incorporating it into topical anti-aging skincare products. LifeCell’s breakthrough formula contains Malus Domestica Plant Stem Cells created to replicate the anti-aging effects of this rare Swiss apple. New innovations allow us to see the skin preserving potential plant stem cells have to offer. Plant stem cells can serve as a sort of internal repair system, dividing essentially without limit to replenish other cells. One of their main characteristics is its ability to protect the longevity of skin by helping combat chronological aging. What was keeping these apples alive?, What was the secret to such prolonged youth? And, naturally, how quickly could this miracle ingredient be harnessed to stop the aging process - in people? Scientists discovered that the key to the apple's longevity lay chiefly in its unusually resilient stem cells. Stem cells in plants function much as they do in people: Their job is to maintain and repair. Stem cells found in skin have a limited life span, and as we age and as we expose ourselves to inevitable environmental assaults - like UV light, i.e., sunshine - they decrease in number, as does their ability to regenerate tissue. The result is the familiar loss of skin elasticity and radiance, and finally wrinkles. Welcome to the apple. New technology made it possible to replicate the cells of the nearly extinct Uttwiler Spätlauber in the lab. In clinical tests, the apple's stem cells appeared to be protecting the skin. Like a youth tonic, they were nourishing and stimulating them, defending them from UV radiation (like a natural SPF booster), even delaying their aging and death. And so, this fairly tale has a happy ending. Today, the rare Uttwiler Spätlauber trees (there are now seven) are protected by the European environmental group ProSpecieRara. The apples themselves are so revered, in 2008, the Swiss government put them on a postage stamp. Maybe someday we'll even eat them. Imagine what that could do for you. Received LifeCell at award show event. Not an endorsement. Received LifeCell at award show event. Not an endorsement. in anti-aging science, made available at the highest quality to keep your skin youthful and radiant. 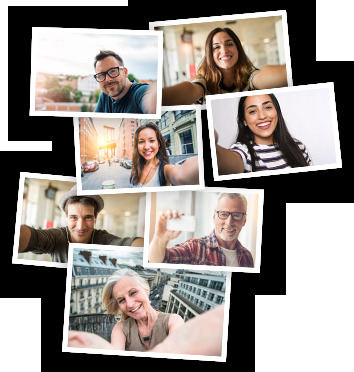 The information provided on this site or any information contained on or in any product label or packaging is for informational purposes only and is not intended as a substitute for advice from your dermatologist or other health care professional. You should not use the information on this website or the product described for diagnosis or treatment of any health problem or as a substitute for any prescription of any medication or other treatment. You should consult with a health care professional before starting any skin or facial regiment or if you have or suspect you might have a skin problem. This information and product is not recommended for women who are pregnant or children. The product should be used according to instructions on the product label. Celebrities were provided free samples of the Products at gifting suits.